Download "Application Note. 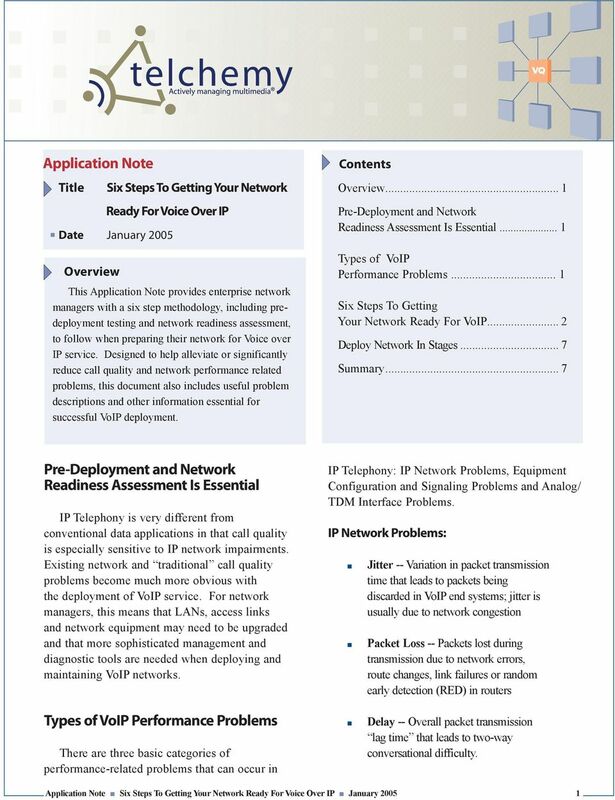 Pre-Deployment and Network Readiness Assessment Is Essential. 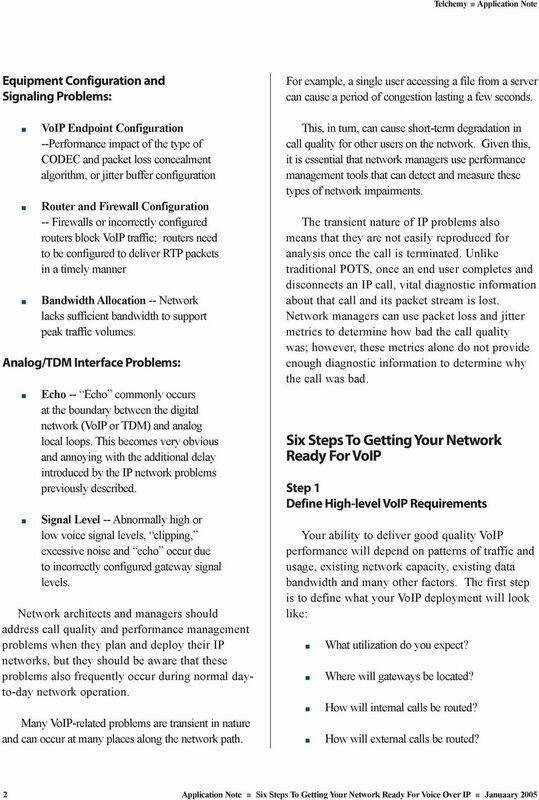 Types of VoIP Performance Problems. Contents"
Application Notes. Performance Management & Enterprise IP Telephony. Introduction. Contents. Managing Enterprise IP Telephony. Series. Tech Note. Introduction. Definition of Call Quality. Contents. 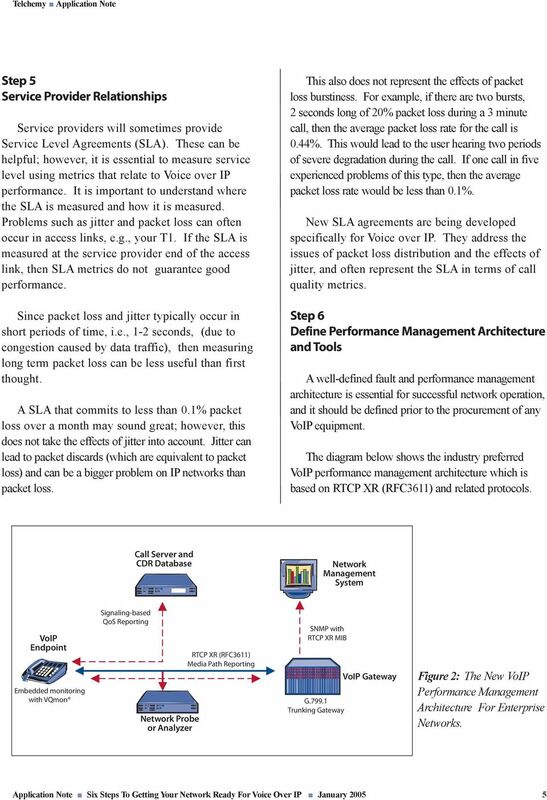 Voice Quality Measurement Understanding VoIP Performance. Title Series. 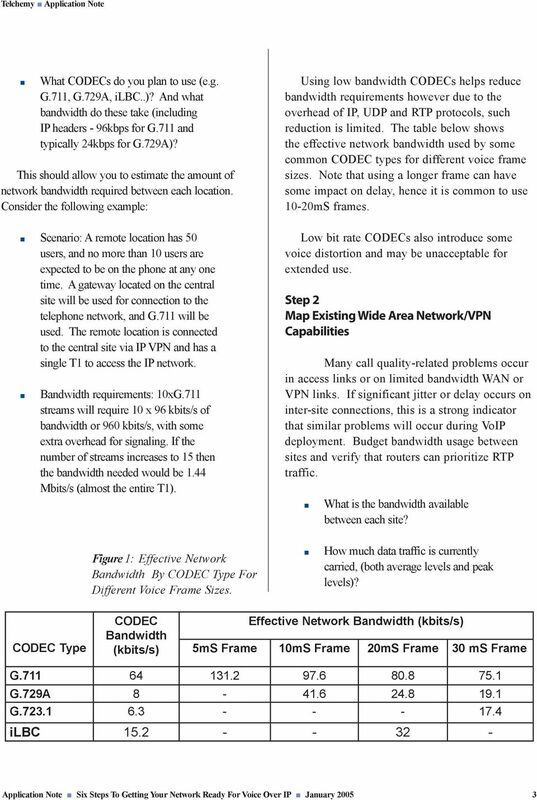 Cisco Networks (ONT) 2006 Cisco Systems, Inc. All rights reserved. 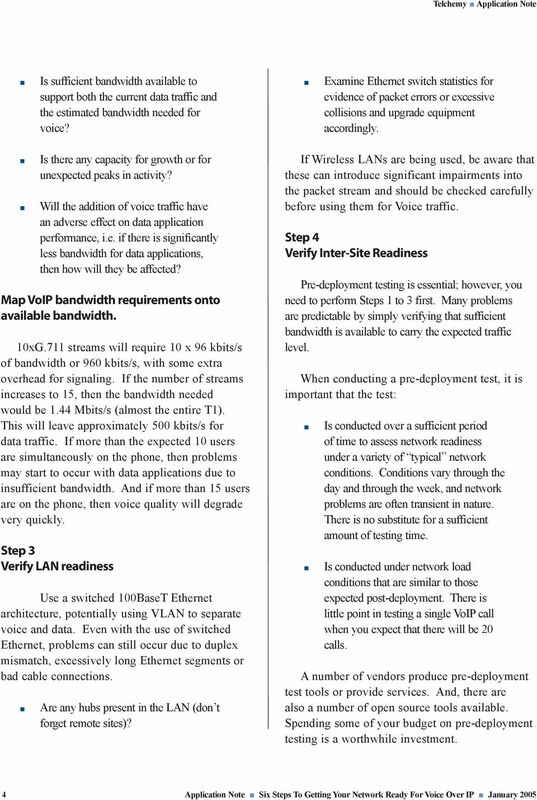 How To: Diagnose Poor VoIP Calls through diagnostics. Level: 3 Credit value: 9 GLH: 80. QCF unit reference R/507/8351. This unit has 6 learning outcomes. This unit has 6 learning outcomes. 1. 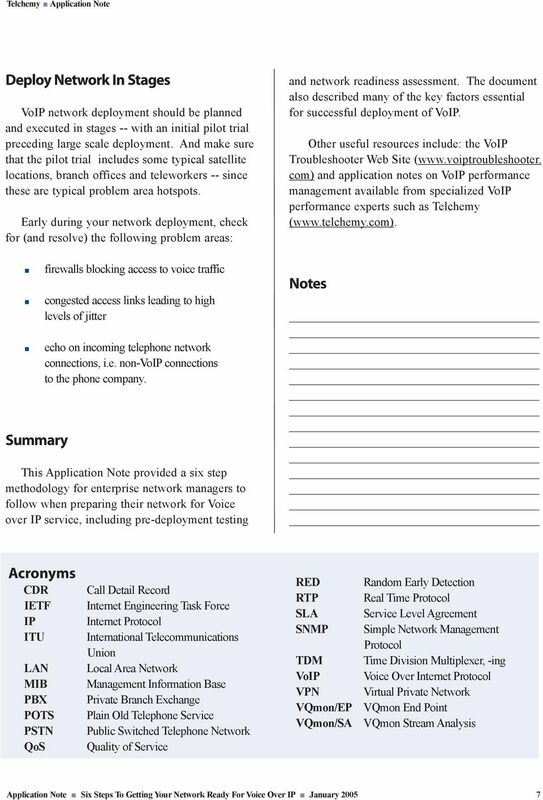 Know telephony principles. 1.1. Demonstrate application of traffic engineering concepts Prioritization of voice traffic Trunking requirements Traffic shaping. 1.2. Application Note. Introduction. Video Basics. Contents. IP Video Encoding Explained Series Understanding IP Video Performance.